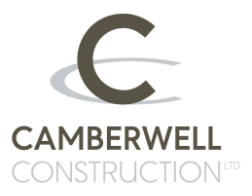 Camberwell Construction Ltd is a relatively new, family run buisness. Together we have over 60 years experience and knowledge of construction trades, our goal is to offer an all round service, 'one number is all you need' with qualified tradesmen that you can rely on, trust and feel confident with. Our workforce are highly skilled and motivated craftsmen with a wealth of knowledge and experience who pride themselves on customer satisfaction and have achived 100% retention of clients since we began trading. We are fully insured and with the enhanced CRB clearance of all our staff you can be safe in the knowledge our staff our trustworthy individuals. For further information or to book a free home visit and quotation please call us on 01942 496364.